Greensfelder Officer Shannon Haney was selected by Missouri Lawyers Weekly among the honorees for Up & Coming 2017, being recognized in the mentor category. The annual event honors exceptional early-career attorneys from across Missouri, as well as those who stand out as mentors to young lawyers. Haney and the others selected for the 2017 class will be honored at an awards luncheon Oct. 6 at the Missouri Athletic Club in St. Louis. 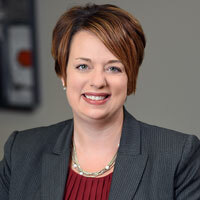 Haney, who joined the firm in 2004, is a key member of Greensfelder’s environmental team and serves as a mentor to others in the litigation group. She is also a leader of the firm’s women’s initiative.